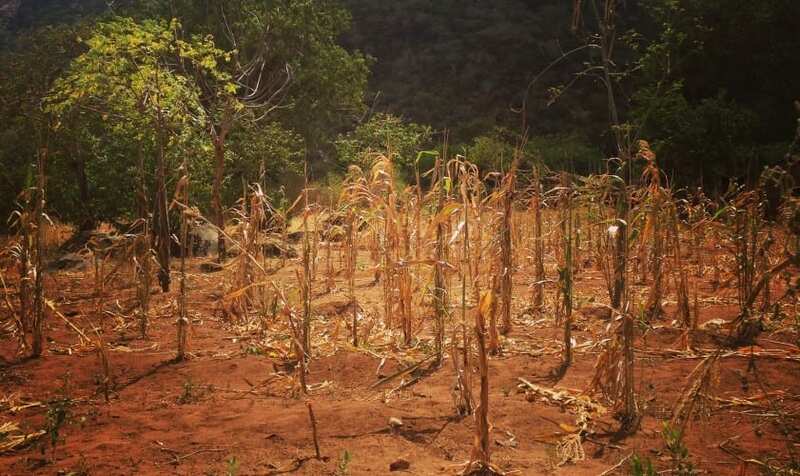 The rain that fell in our project area in April did not hang around for long and whilst it helped to provide immediate relief in terms of water, it has done little to alleviate the drought situation in this part of Kenya. Yet another harvest season has largely failed locally and for most families, especially those who rely on subsistence farming, putting food on the table continues to be a daily struggle. Our school meal programme continues to be an absolutely vital lifeline for the 2,750+ children that we reach across our seven partner schools and beyond. 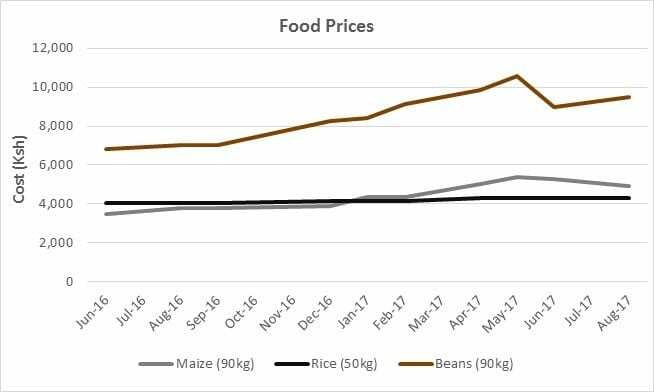 Even though prices of domestically sourced foodstuffs – which increased by up to 69% in the 12 months up to May – appear to have now largely stabilised (see graph), these reduced portion sizes will remain in place for the remainder of 2017 and beyond. In the last few days we have secured the necessary funding to be able to deliver the programme for the rest of this year thanks to an emergency donation of £5,000 from The Herrod Foundation. This donation is in addition to a £7,500 grant that the foundation has given annually towards the programme since 2014. We are very thankful to their Chairman, Gerry Herrod, and his fellow Trustees for their on-going support. Looking ahead, we hope that recent rains in the agricultural highland areas of Kenya will help to put further downward pressure on the price of maize and beans, and continue to bring down the cost of the programme, which currently stands at over £210 each-and-every school day, or more than £1,000 per week. Although we have secured funding for the programme for the rest of the year, 2018 is just around the corner and approaching fast and aside from a couple of small recurring donations and the annual grant from The Herrod Foundation we do not yet have any funding in place. If you can help in any way – maybe by setting up a regular donation or raising some funds – then please get in touch, we’d be delighted to hear from you. Dead maize, dried out before it has had a chance to reach maturity, has been an all too familiar sight in our project area over the last couple of years. This entry was posted in feeding programme, schools. Bookmark the permalink.